See all homes for sale on Green Lake in Chisago City, MN. Chisago City is the first city you arrive to on highway 8 in the Chisago Lakes area. Green Lake is within Chisago City. The city took its name from Chisago Lake and has a population around 5,000. Is basically surrounded by water with lakes such as North and south Lindstrom and north and south Center Lake. Lindstrom received its name from the original settller named Daniel Lindstrom and has a population close the 5,000. Is the county seat for Chisago County. Center City is also, surrounded by water with city hall and county offices on a peninsula along North Center Lake. The population is just under 1,000. Shafer city has a population just over 1,000 and received its name from pioneer Jacob Shafer. Shafer lies in between Center city and Taylors Falls. Taylors Falls is located on the banks of the St Croix river on Highway 8. The city was named after a local politician Jesse Taylor and originally platted in 1851. Taylors Falls is located across the river from St Croix Falls in Wisconsin and has a population around 1,000.
own in Chisago County and the surrounding areas. Cheryl has helped 100’s of seniors down-size and is a condo/townhome expert. Before moving to the Chisago Lakes Area, she lived in the Twin Cities and still works the entire metro area. Part of NRT the Nation’s Largest real estate company in the nation with 44,000 sales associations and 727 offices. NRT is involved in 25% off all real estate transactions in the US. In 2015, REAL Trends ranked NRT as the #1 Residential Real Estate Brokerage Company for an unprecedented 18th consecutive year. It’s an honor we’ve achieved by focusing on exceptional customer service and consistently putting our clients’ evolving real estate needs first. 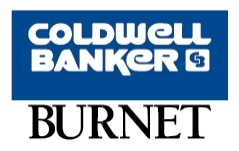 Coldwell Banker® was founded in 1906 when Colbert Coldwell, a young real estate sales associate, observed families trying to piece their lives together following the disastrous San Francisco earthquake. © 2016 Kemteck, Inc. All Rights Reserved.